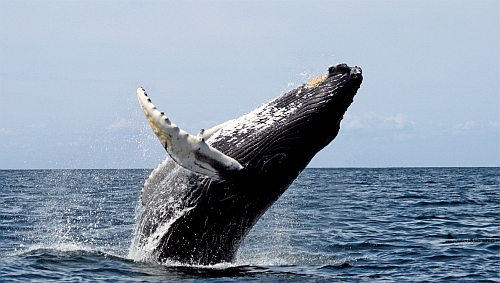 Sunwing has dropped the price of one of their June flights from Toronto to St. John's, Newfoundland down to $242 CAD roundtrip including taxes. The flight has 1 stop in Gander, Newfoundland on the way there, and is non-stop on the way back. NOTE: If you are purchasing 2 tickets, you can book these flights for slightly less ($227 CAD roundtrip) through the Sunwing website, thanks to a 'Buy one, get one for 30% off' promo. Use the dates from the list above. screenshot from the Sunwing website for TWO tickets. 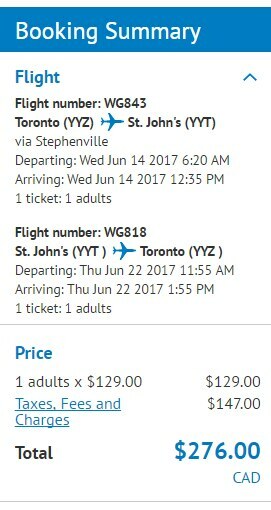 toronto, yyz, flight deals, sunwing, canada, north america, st johns, newfoundland, yyt, gander and yqx. 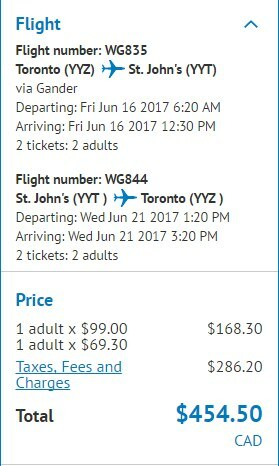 One Response to "Toronto to St. John's or Gander, Newfoundland - $227 to $276 CAD roundtrip including taxes"
Deal is not there anymore. It is $550 total for 2 people round trip now.